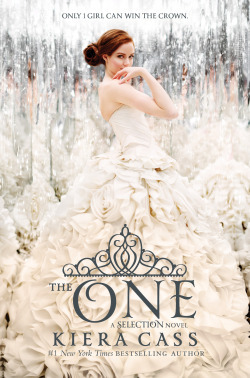 Warner Brothers has purchased the film rights for The Selection! 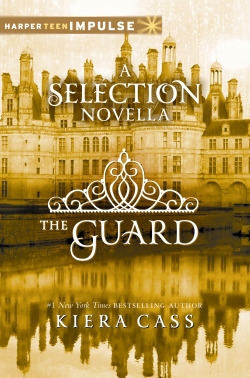 "Warner Bros has won film rights to Kiera Cass’ global bestseller The Selection, the first of a five-novel series, and has set Black List scribe Katie Lovejoy to adapt it. DiNovi Pictures’ Denise DiNovi and Alison Greenspan are producing with Pouya Shahbazian. Lovejoy’s script The Arsonist Love Story made the 2010 Black List. As for Lovejoy, she recently developed a pilot for NBC, with Universal Television, Eva Longoria, and John Glenn producing. She previously wrote pilots for NBC, Bravo, and ABC and worked on the staff of the NBC series Dracula. She is repped by CAA and Myman Greenspan. Cass is repped by Red Tree Literary and New Leaf Literary & Media. Andy Fischel and Julia Spiro are overseeing for Warner Bros."
Sooooo, what are your thoughts on a possible Selection movie? I'm sure there will be lots of questions, and I'll try to get to those soon! Thanks for all your support, y'all! These things only happen because of you! A few months ago, a handful of voices were sent my way as possibilites to speak the parts of Aspen and Maxon for The Selection Stories. I listened to all my options... about a dozen times! And then narrowed it down to my top pick and backup for both. 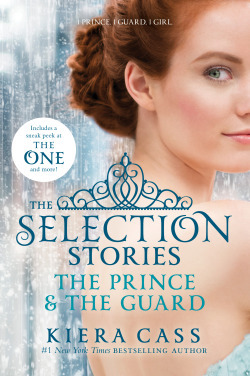 I'm so happy to tell you today that both of my top picks were able to do the audiobook of The Selection Stories! Nick Podhel will be the voice of Maxon, and Tristan Morris will be the voice of Aspen. You can listen to them introducing themselves on HarperCollin's soundcloud page! While we're talking about this though, I want to give a little shout out to Amy Rubinate, who has voiced America for all of the books. She's been hanging out all along and has done a really lovely job. You can listen to a sample of Amy reading as America on the Amazon page. How do you feel about the voices of our three main characters? Personally, I'm stoked!